Interesting material, but . . .
Free speech as we know it comes less from the First Amendment than from a most unexpected source: Supreme Court justice Oliver Wendell Holmes. A lifelong skeptic, he disdained all individual rights, including the right to express one's political views. But in 1919, it was Holmes who wrote a dissenting opinion that would become the canonical affirmation of free speech in the United States. This is one of the true classics in world legal literature. 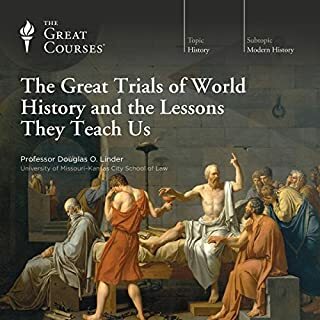 Written by a master of law and language, it is a primary source book for anyone interested either in legal theory or political science. For the layman, it serves to clarify the very essence of the common law, the cornerstone of our present legal system. Here, the well-known jurist took a patient walk through the long development of many concepts in law, often starting in ancient times. As I teach law, I like to pick out anecdotes (for example, the image of an ancient bankrupt debtor having his body physically partitioned and the parts handed out to creditors -- not a world where one would casually buy a cappucino on the credit card). Ideas are traced from ancient forebears in the mists of pagan northern Europe and so on -- from vengeance, and seizure of many offending things (such as a tree that had fallen on a person, to the cutting off of lots of body parts), to the substitution of money damages, and other relatively kinder, gentler legal solutions of Holmes' day (here, the later 1800s). This book does for me what I like history to do: to provide a baseline to compare to things in my world today. I should have admired Holmes' wisdom and theories from afar or at least tackled this work only in printed form. Unlike most audiobooks, I had to actually pause my housework and concentrate fully to gain the meaning from this exhaustive verbosity. While I adored the style and language of Victorian Era literature, it was just too much for such a technical subject. I really wanted to make it through, but this one defeated me after a mere 4 hours. I was sooo disappointed by the lack of inflection in the narration. A computer voice would have been about as effective. I recommend waiting until someone else narrates. Like the other reviewers, I found this book hard to listen to. In fact, for me, it was impossible. Not only is the recording/narration very challenging, but there are quite a few key terms used by the author in the original Latin. Unless you have an excellent ear for Latin, you will prefer the print edition, where you can see the spelling and check your Latin dictionary. I did buy the print edition, and the book is excellent. It is well worth the time and cost, if you can overcome the issues with with audio. I thoroughly enjoyed this book overall. If the performance has been better meaning the person who read it had done a better job and I probably would have enjoyed and given five stars. Not for everyone and definitely not to be considered a weekend light read or something to casual listen to in bed. 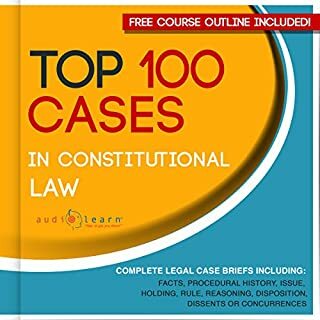 I would say this book is specifically tailored to enrich those minds that have a passion for the law or a yearning to understand legal matters via historical references. If this is you, then I would prepare for a great read by one of the most articulated & gifted Supreme Court Justices ever to grace the paper with a pen. unless one has a background in basic law Holmes expatiatied knowledge of the law does get sort of boring, but contains wealth of info.to the legal student not available in recent texts. Not a light read, but worth it. 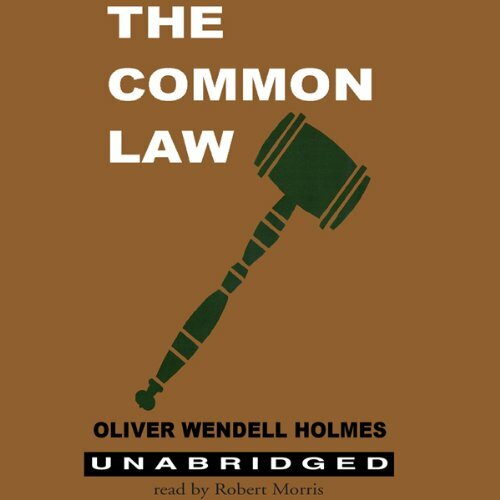 Would you consider the audio edition of The Common Law to be better than the print version? What was one of the most memorable moments of The Common Law? There isn't one memorable part per se, but it does explain a basis for our modern system. Legal theories would come after, but Holmes' work is a good start. Look, I understand Holmes is catching a lot of flack for being a dense material. When you truly think about it or even re-listen to portions, things start to click. 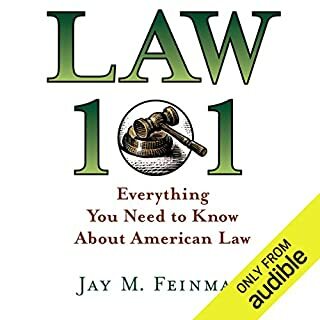 This certainly is not a light read or should be an audiobook, but this is a great classic of American law. The book actually isn't that bad, although one must have a enduring attention span to get through the many hours of this audio book. 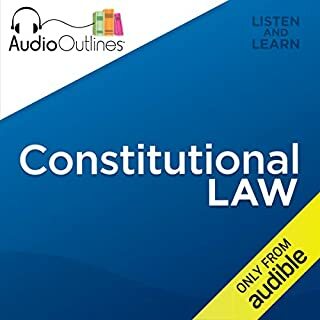 The chapters and content of this audio book could be organized and abreviated much better to make this book more interesting. It's not bad, but for one of the great classic works on the law, I didn't find it quite as engaging as I had hoped. What would have made The Common Law better? Nothing; the subject matter is of historical interest only. What was most disappointing about Oliver Wendell Holmes’s story? Ignore any positive reviews unless you are a law professor or legal historian. Holmes wrote this material 135 years ago and virtually none of it has any direct relevance to modern law. Though this is a classic text, its dense and ponderous style does not, in my view, translate well to audio. It requires the kind of attention best (and more quickly) catered for by reading. Terms should be defined and then used. I was disappointed by that book. 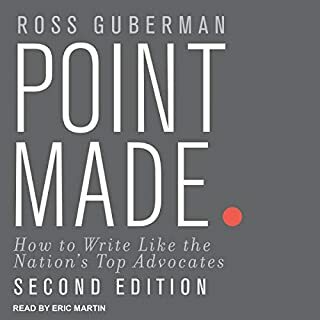 The narrator's old voice struggling pronounce Latin phrases correctly with the lack of translation gave me an impression that this book is written by somebody who knows a lot for somebody who knows equally a lot. The points he made are hidden for normal people who did not go through history, ethics, philosophy and read a huge quantities of books. The author quotes or refers to terms which without definition will make no sense to you. Imagine you go through a long trial and when court makes a judgment it is said to you in language you do not understand. What's the point listening to this complicating and long book when at the end the knowledge you get equals 30min with Wikipedia. More like this please, for example, on Equity. 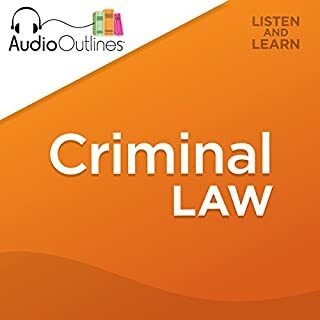 Audible.com is doing a great job in providing legal education to the public. Thanks audible.com!